Van Eyck was one of the few modernists who subjected architecture to serious reflection. Part 1 of this work, entitled The Child, the City and the Artist is based on the courses that Van Eyck gave at the University of Pennsylvania in 1960. This is the first time the book has ever been published. It is an indispensable document for anyone seeking to understand the thinking about architecture of the period 1950 to 1970. 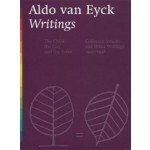 The second part is a collection of Van Eyck’s writings from the years 1947 to 1998. This texts cover a wide range of subjects, and include his polemic on postmodernism and his articles and lectures about artists and architects such as Carel Visser, Joost van Rooijen, Jaap Bakema, and Jan Rietveld. 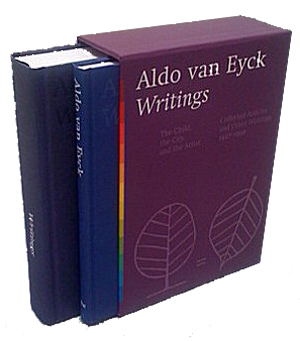 Aldo van Eyck (1918-1998) is one of a small group of Dutch architect for whom writing was as important as designing. His work can be described as a thought expressed in images and in words. In historical overviews he is seen as having an important role in post-war architecture. 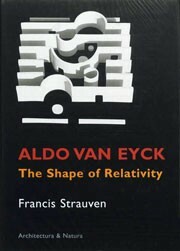 The authors consider him to have made a significant contribution to architectural theory and a key resource person in Team 10.